This represents the third article in summary series of the 2016 Cornell NYC Real Estate Conference. 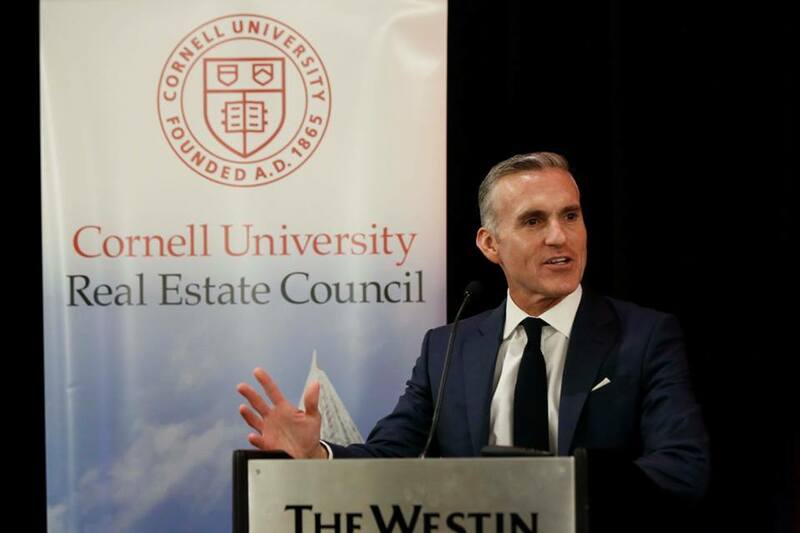 Cornell’s 34th Annual Real Estate Conference was headlined by the theme of disruption and innovation. Accordingly, much of the day’s content revolved around trends impacting the way real estate organizations and practitioners operate. The “Think Big/Think Bold: Disruptive Design in the Innovation Economy” panel shifted the perspective to that of the users of space, with a particular focus on corporations purposefully using their real estate to drive business outcomes. Many corporate leaders have recognized the critical role that physical workspaces play in attracting and retaining talent, fostering innovation, and creating connections amongst employees across the spectrum of live, work, and play. 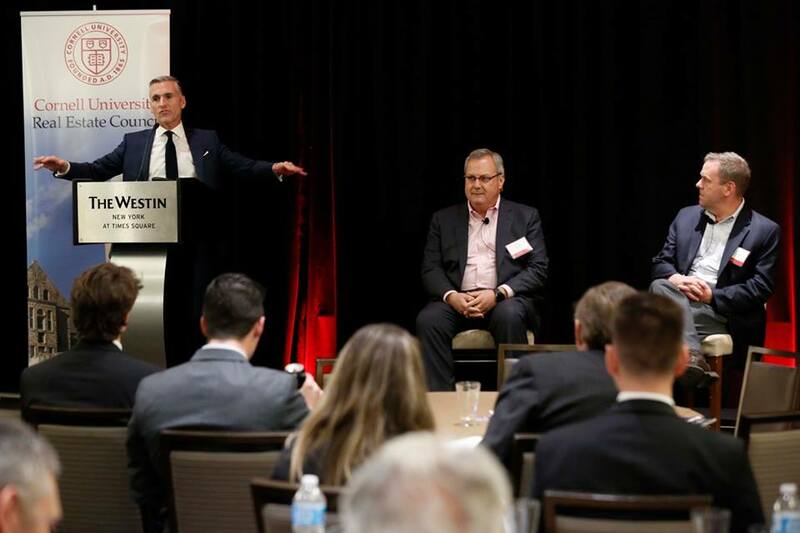 The “Think Big/Think Bold: Disruptive Design in the Innovation Economy” featured Peter Cavanaugh (Eng ’86), the Ecosystem Transformation Leader for GE, and John Vazquez, Senior VP of Global Real Estate for Verizon. We caught up with panel host Tom Vecchione, Design Director and Principal in Gensler’s New York office, to explore the attributes that can create more productive and innovative work environments. Tom emphasized three key underlying design elements that enable innovation within the workplace: adaptability, connection, and lifestyle. Adaptability: The ability to be nimble and adaptable has become critically important across organizational functions in today’s “innovate or die” environment. Organizations are increasingly utilizing innovative frameworks such as rapid prototyping and failing fast, and the spaces that teams work in should be able to shift in order to accommodate recurring changes in how the business functions. This level of adaptability also reduces the need for space, as multi-purpose areas can be altered to meet the organization’s needs. Connection: Innovation is driven by the remixing of ideas. Sharing spaces between different business functions and working groups allows for both the cross-pollination necessary to spawn innovation, and the collaboration and knowledge sharing that will help teams execute on it. Creating shared spaces facilitates a higher level of face-to-face interaction both between and within teams, a key element for idea generation. Organizations are seeking to force face-to-face interaction across the spectrum of colleagues, leaders, and clients. Lifestyle: Driven largely by employee wants and needs, organizations are pursuing opportunities to balance live, work, and play. 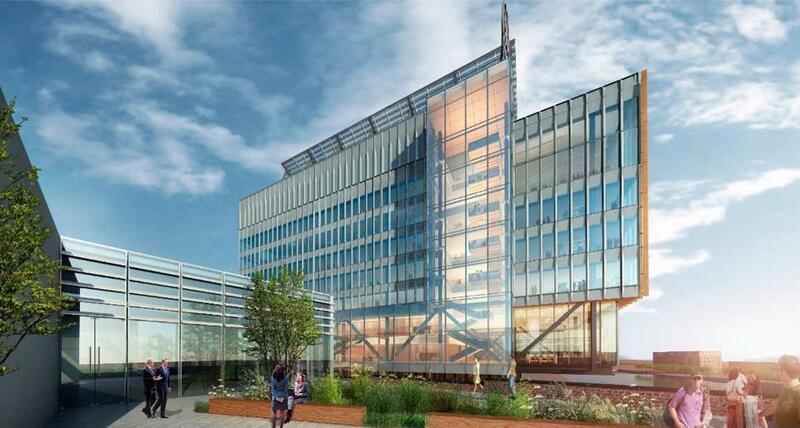 This trend is shifting traditional use-based districts into dynamic mixed-use centers. Integrating these three elements into mixed-use spaces in both urban and suburban areas allows for organizations to increase engagement with their workforce, while simultaneously attracting and retaining top talent. This mix promotes informal interaction that can heighten employee engagement and satisfaction. Due to the size and scale of his projects – and the development timelines associated with them – Tom is often challenged to design the workplaces of tomorrow. Tom’s outlook has innovation moving from within organizations to between them. As a step forward from functional groups bringing perspectives together to remix ideas, Tom sees a future of companies coming together from disparate corners of the corporate world to form new synergies by undertaking what he calls “mixed marriages.” These intersections in business will largely shape the operational design of mixed-use space. Collaboration between firms will result in the interesting challenge of designing combined space to serve a mix of organizational cultures, service models, and corporate needs in order to create a cohesive place that houses a corporate ecosystem.